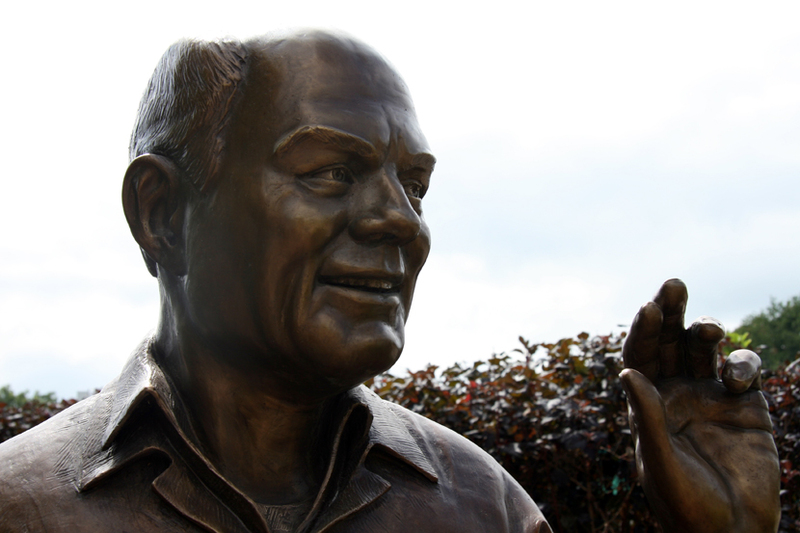 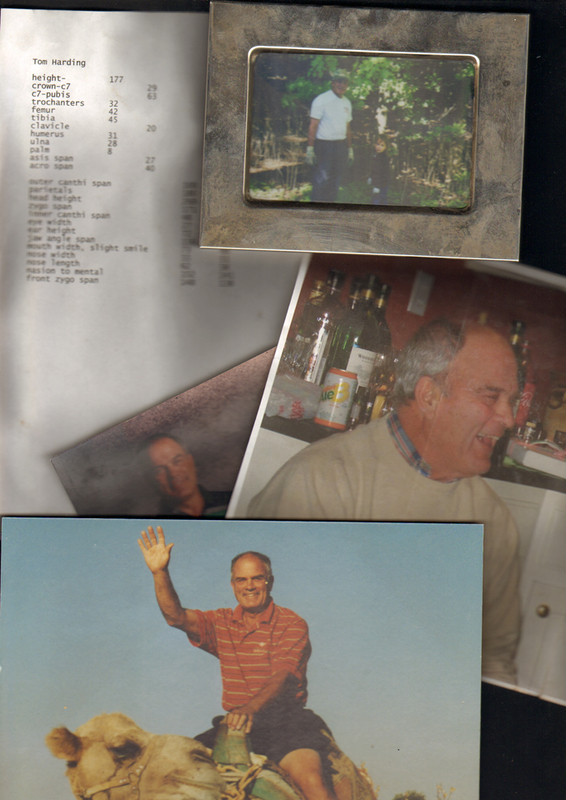 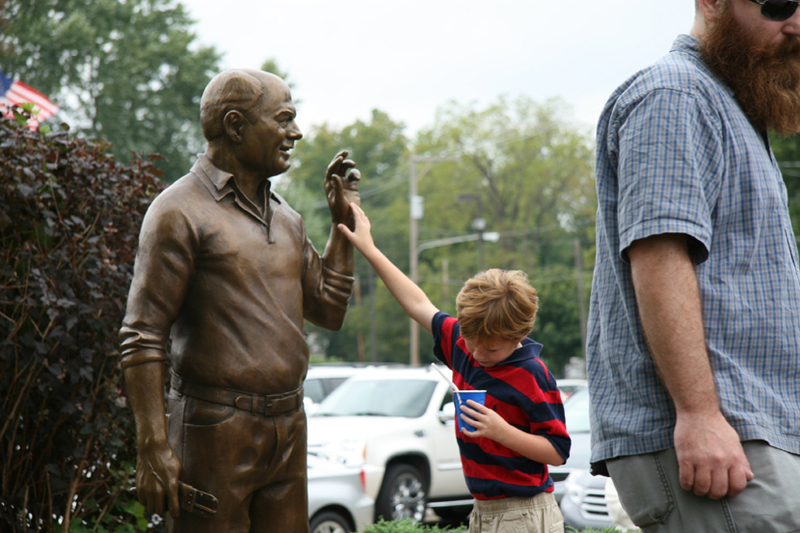 Tom Harding was the CEO of the Harding’s Friendly Market regional grocery chain for many years. 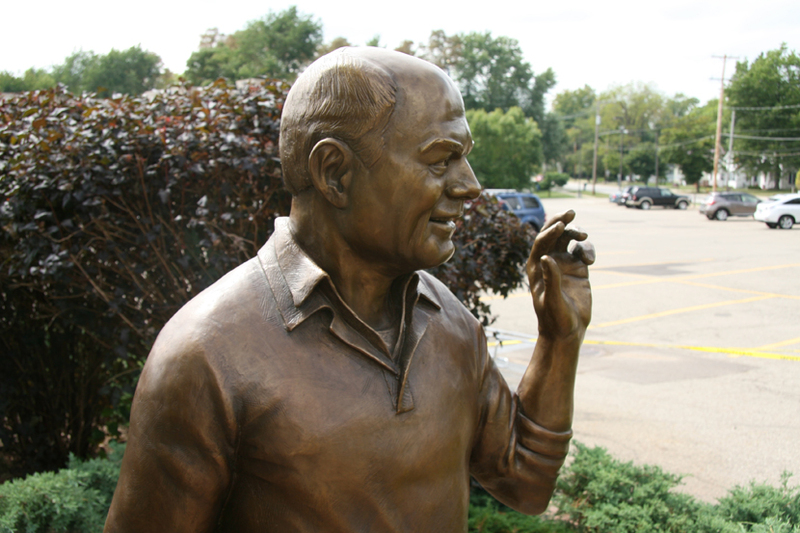 A private man, he largely shied away from the office in his later years, preferring to spend his days tending a large patch of garden in the middle of the parking lot of his Richland, Michigan store whenever possible, where passersby could commonly see him. 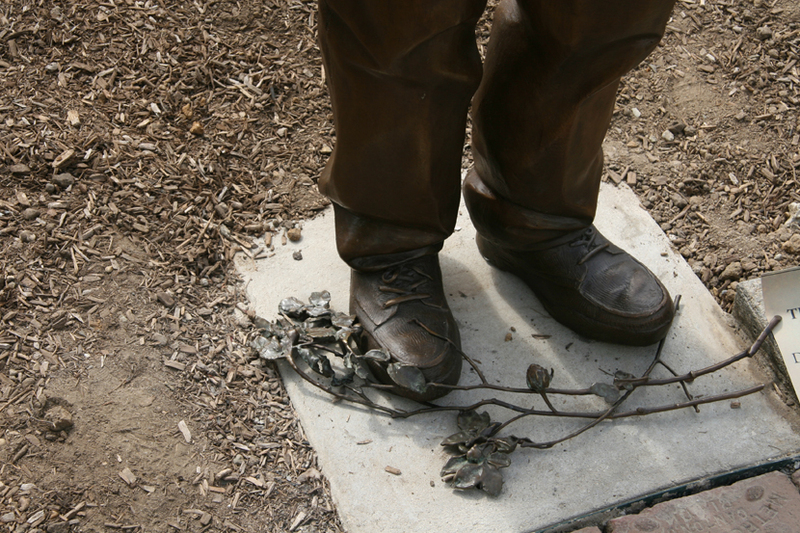 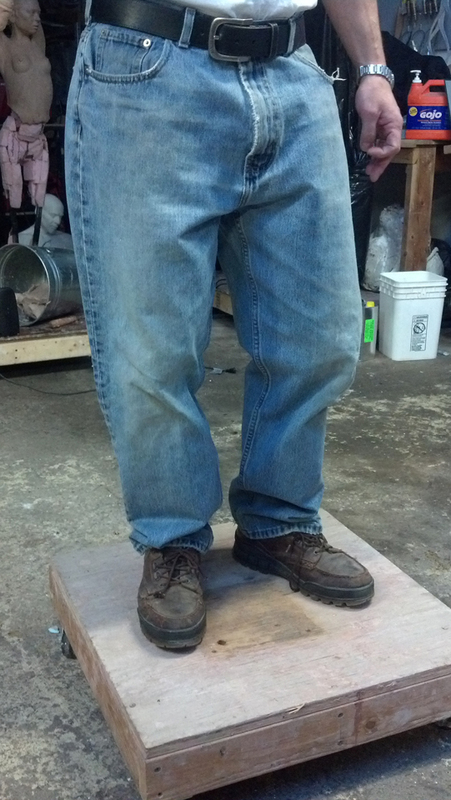 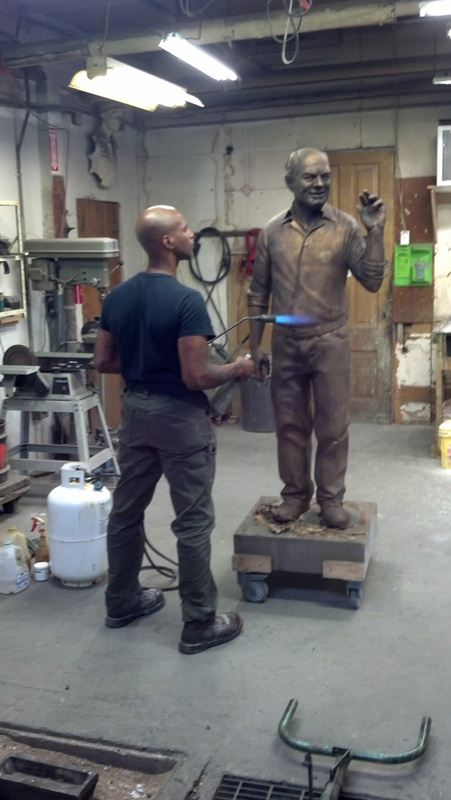 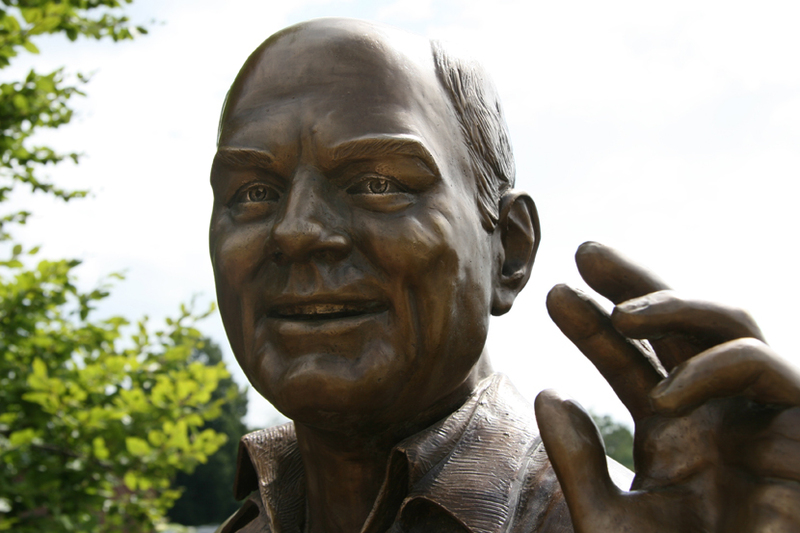 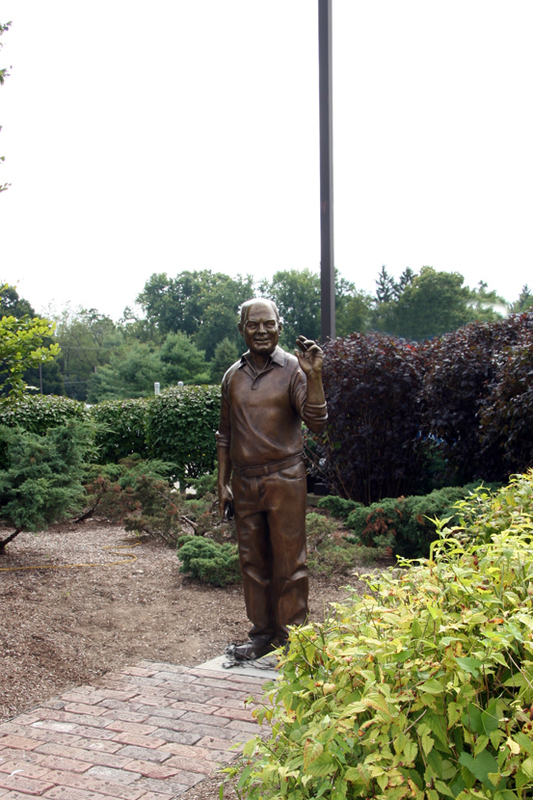 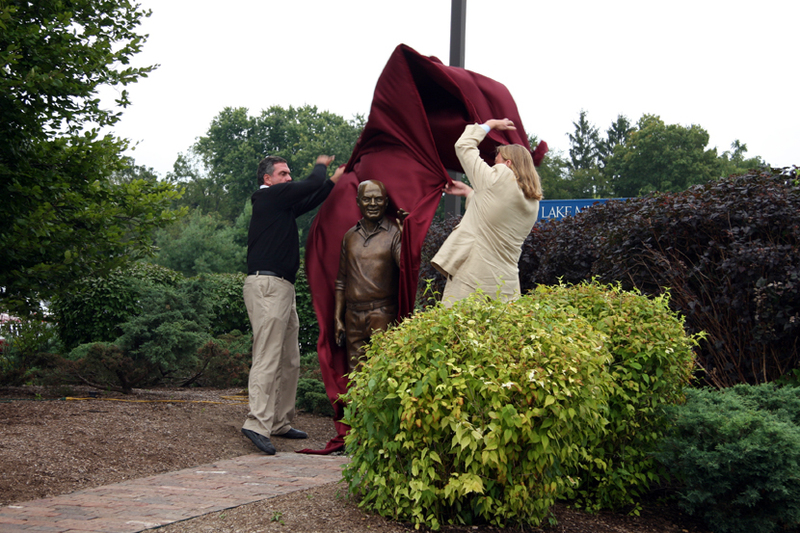 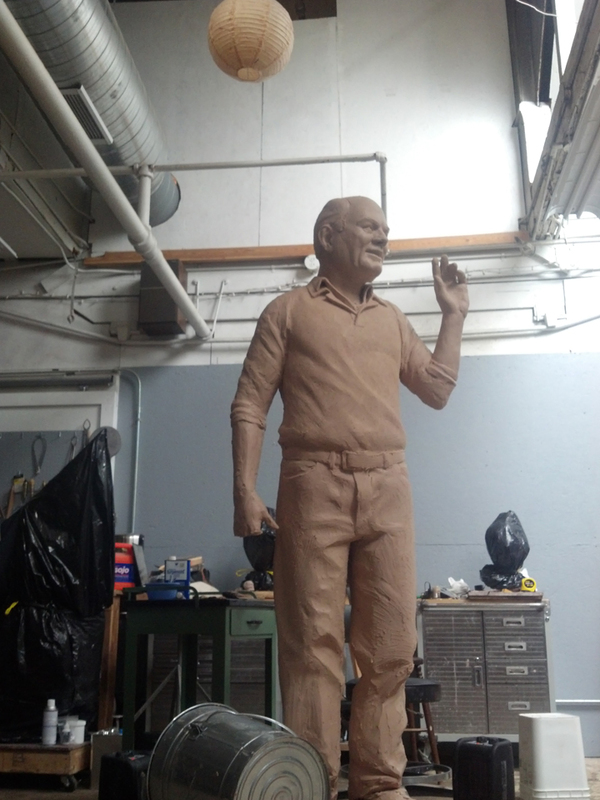 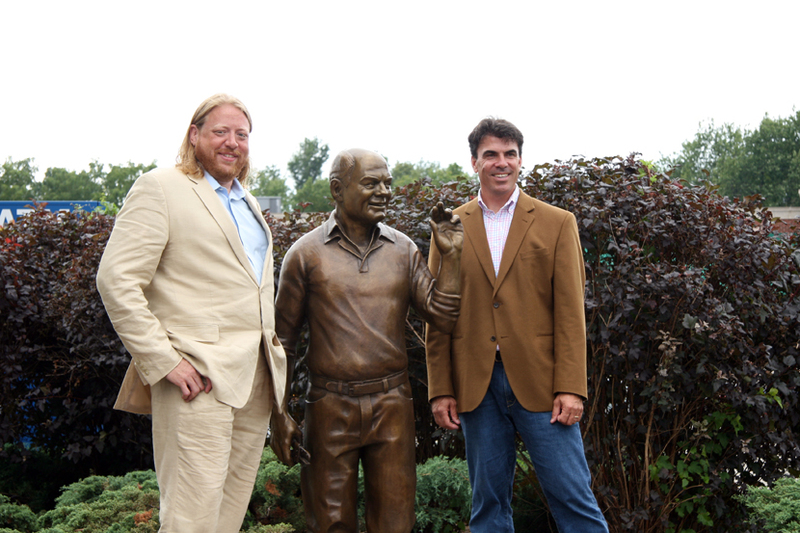 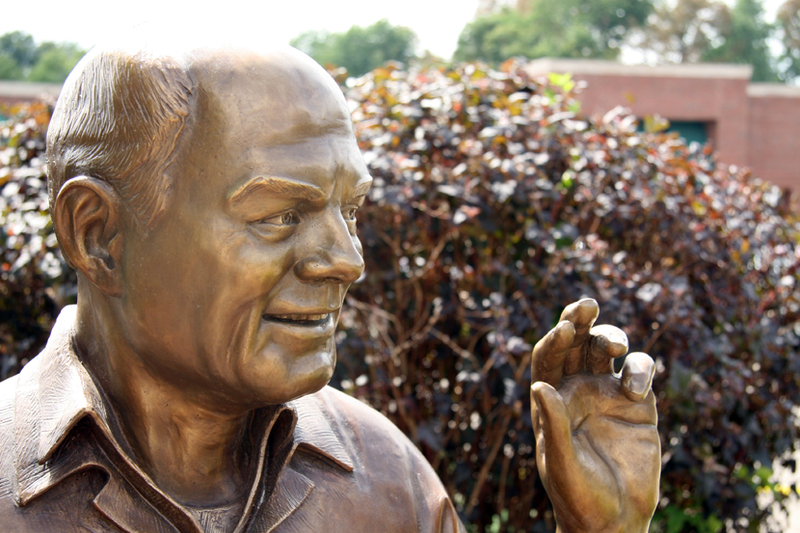 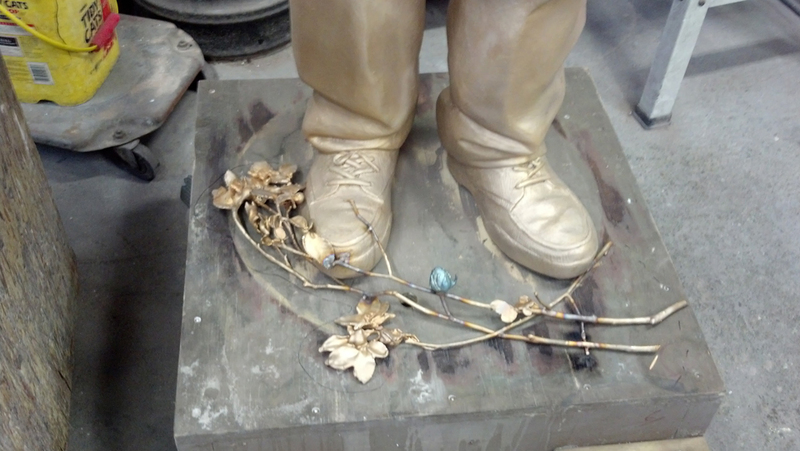 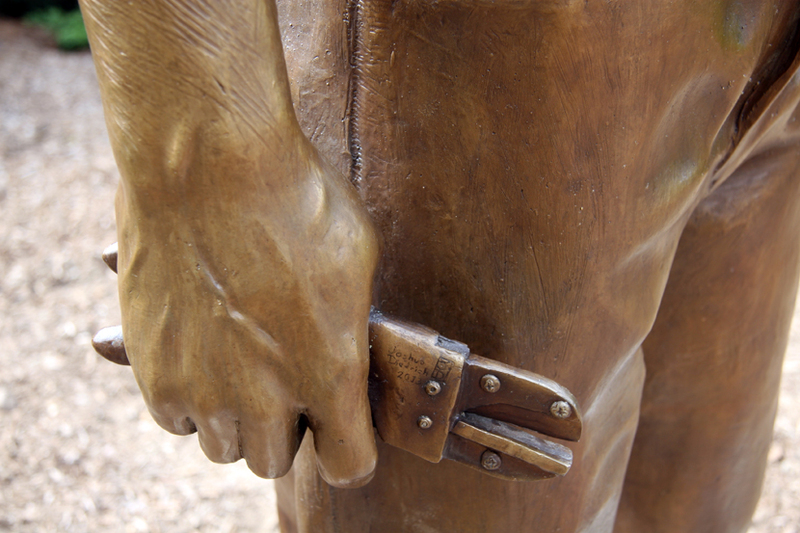 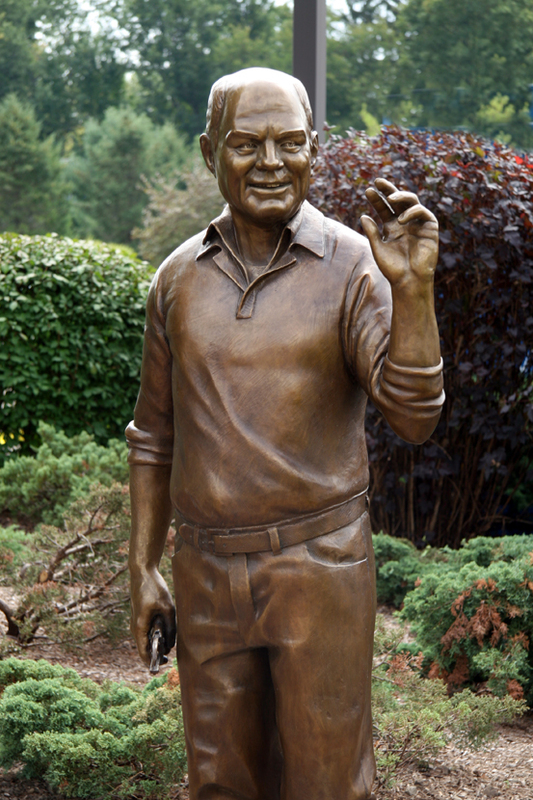 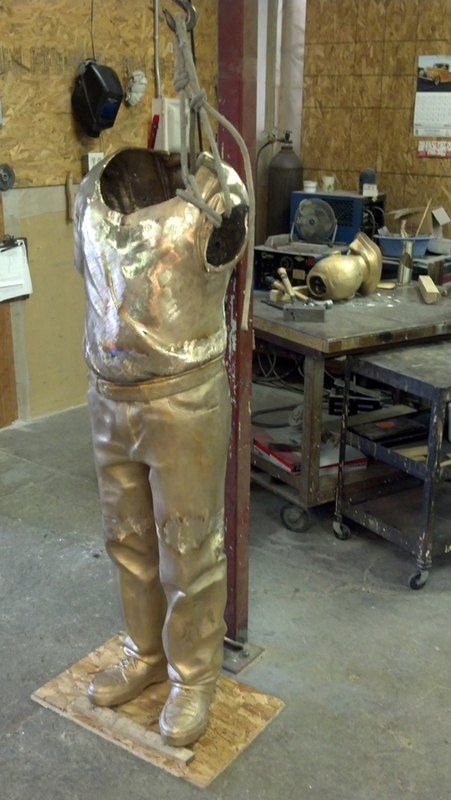 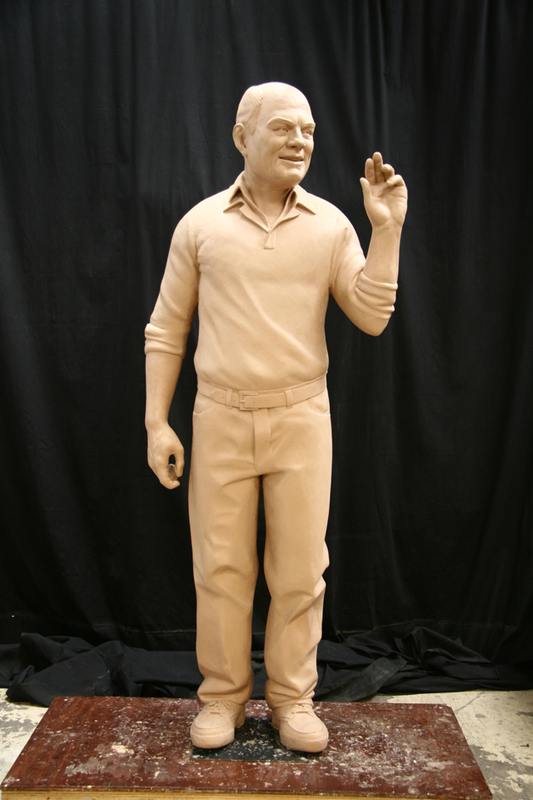 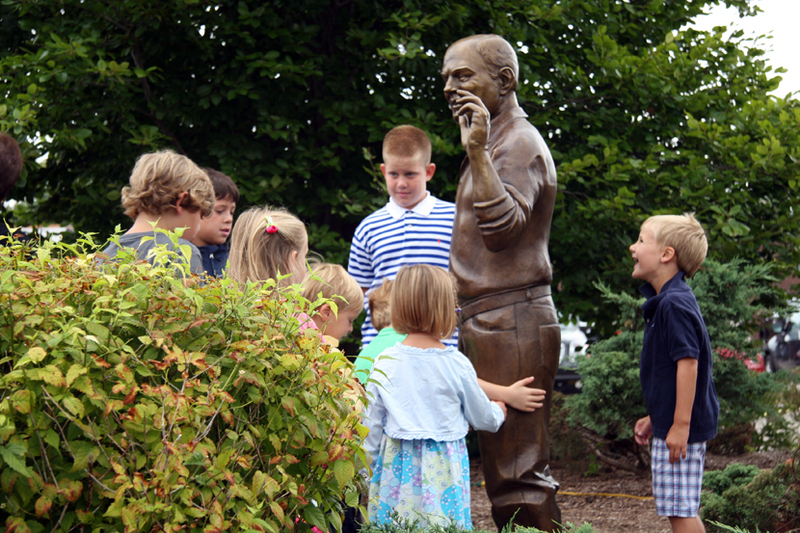 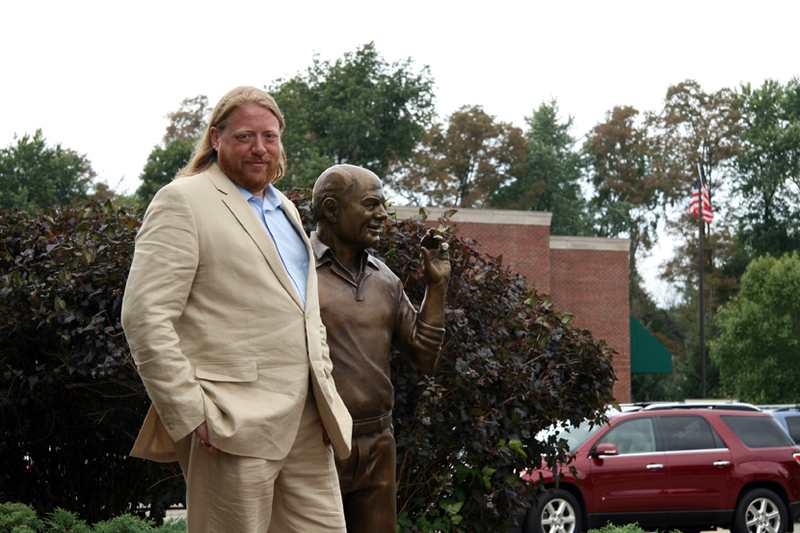 Joshua was approached by Tom’s family about a year after his passing with a request for a bronze statue of him, not on a pedestal, but feet in the soil, hesitantly waving to people on the street. 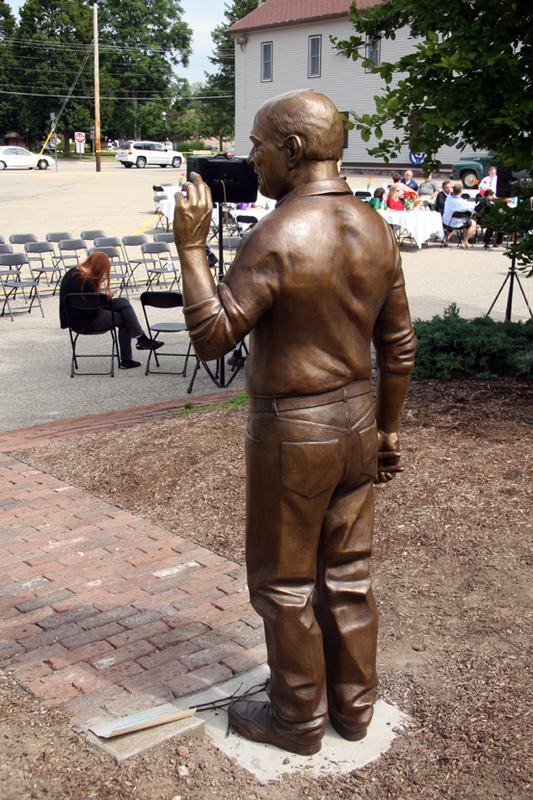 Acknowledging them, but hoping to get back to work. 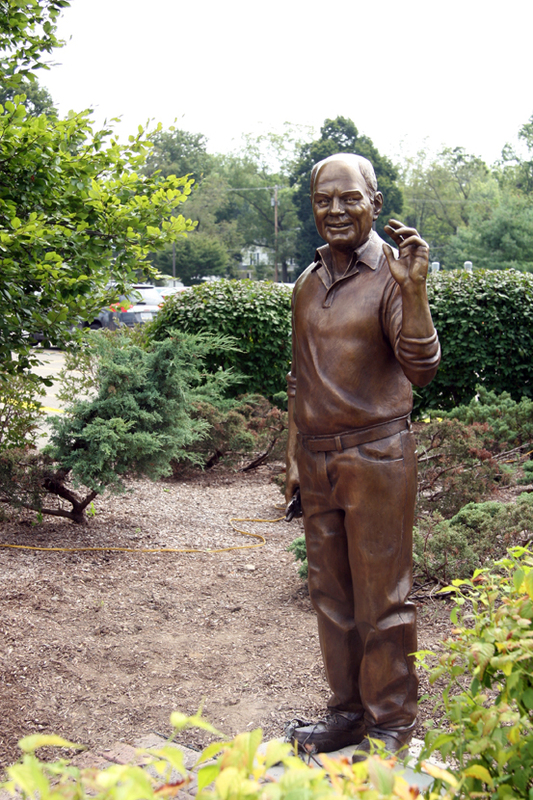 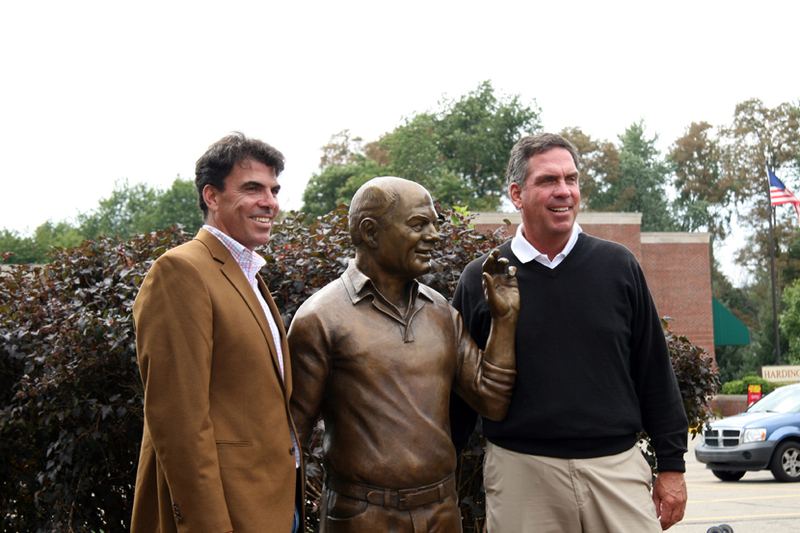 The piece was both as a simple memorial and as a way to allow some part of Tom’s presence to remain there in the garden where people had gotten used to seeing him for so many years. 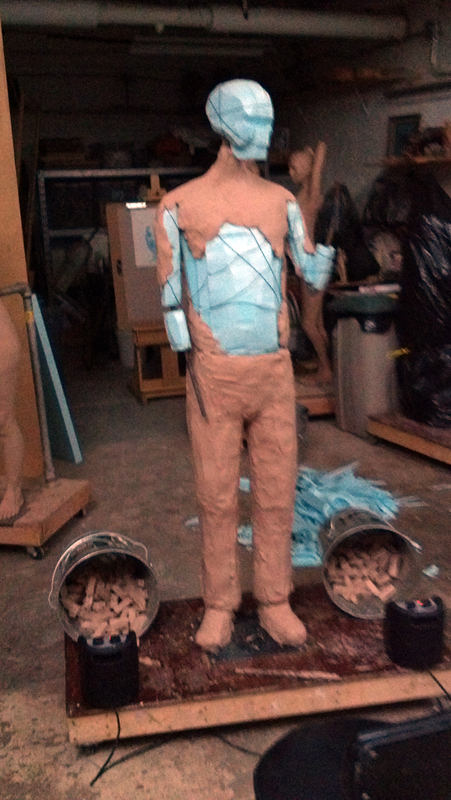 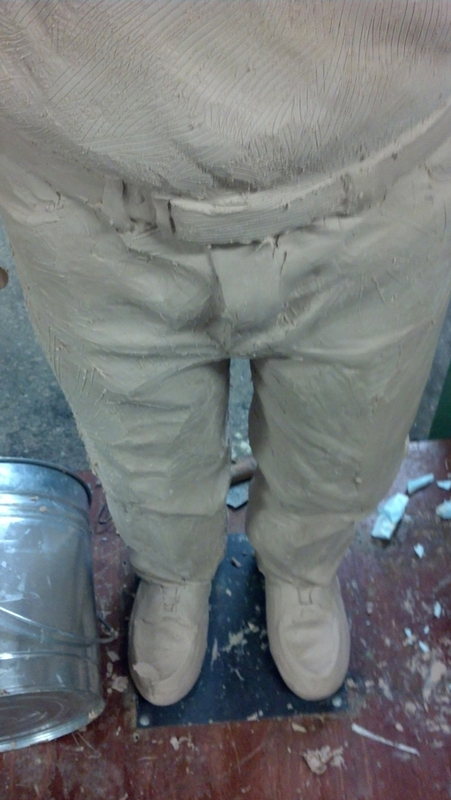 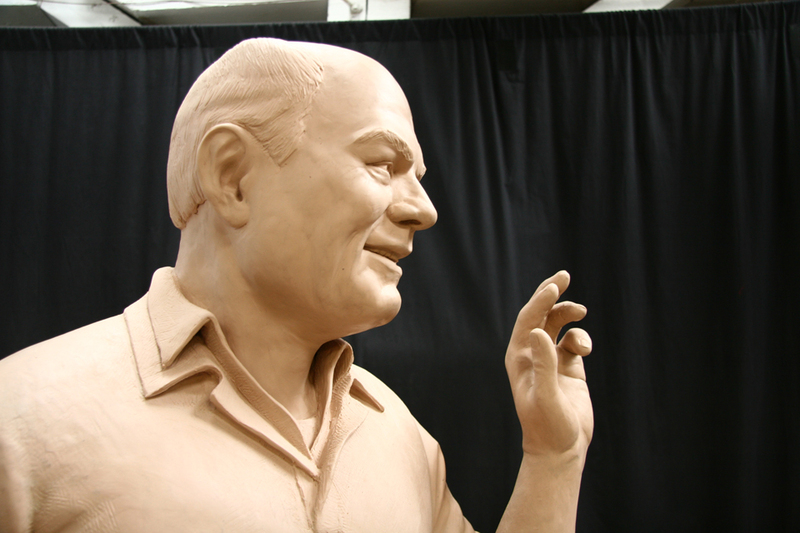 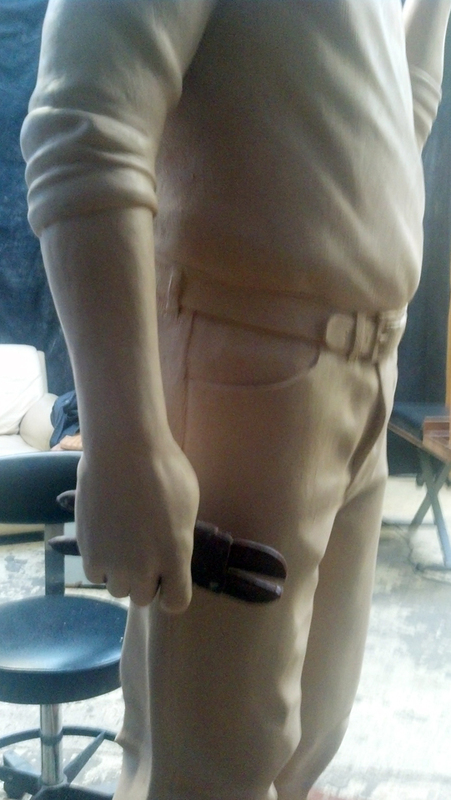 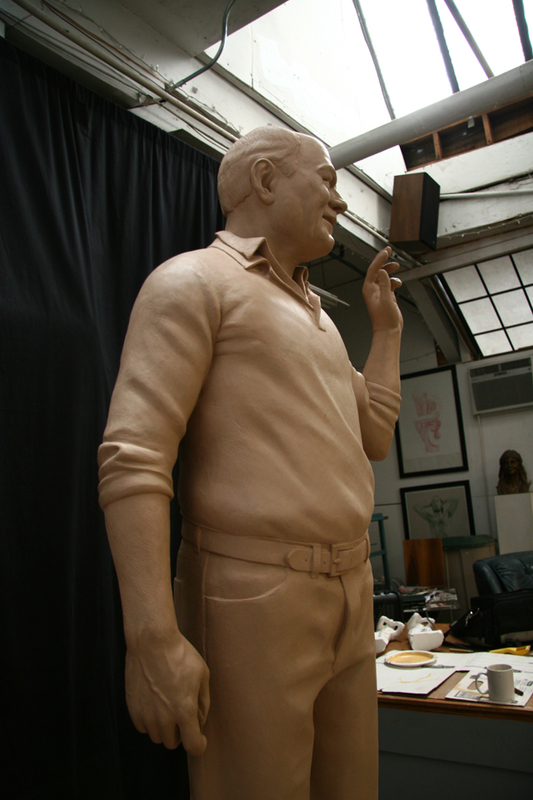 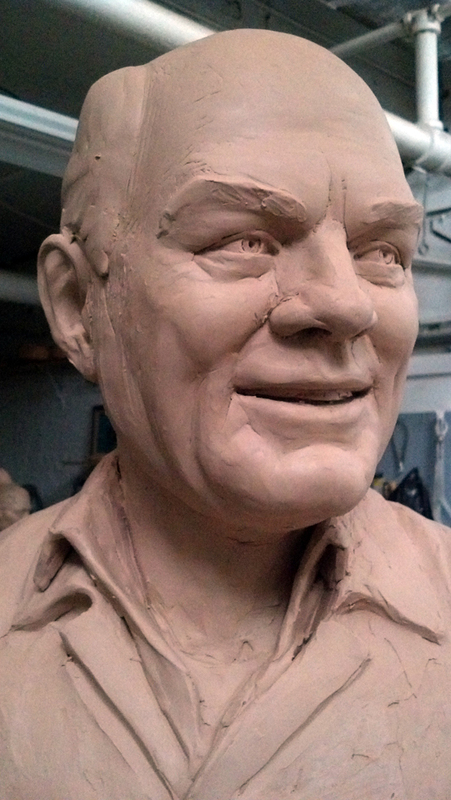 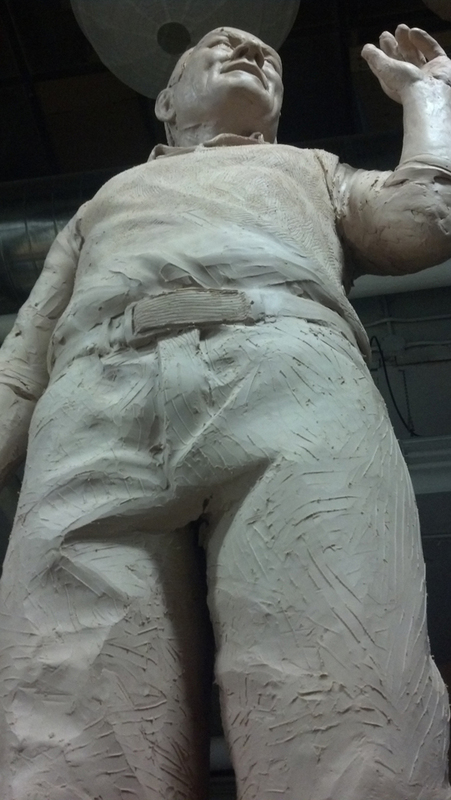 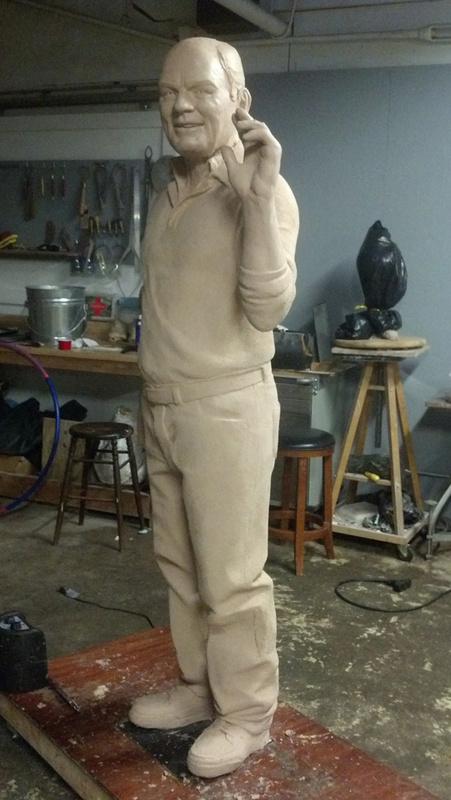 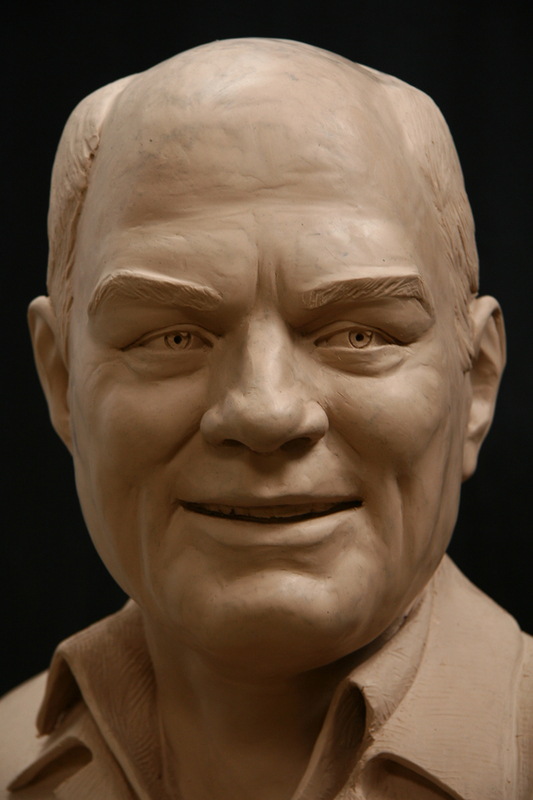 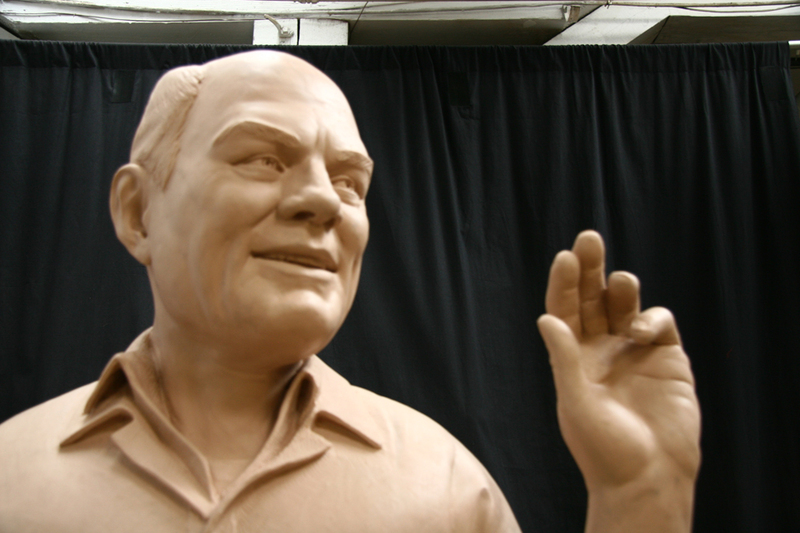 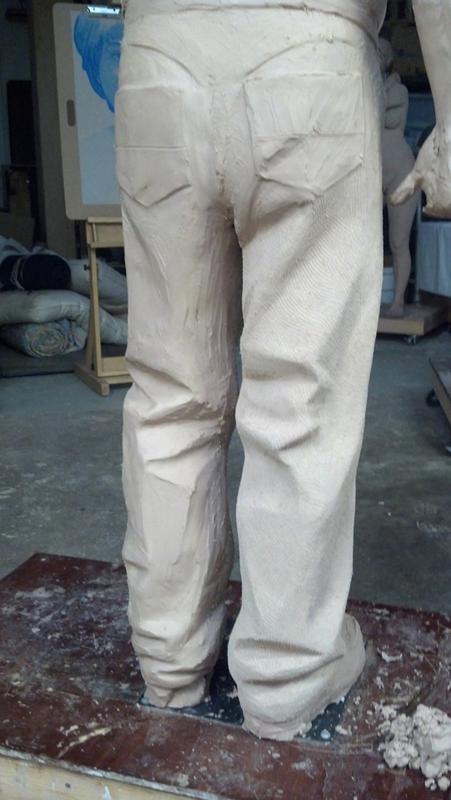 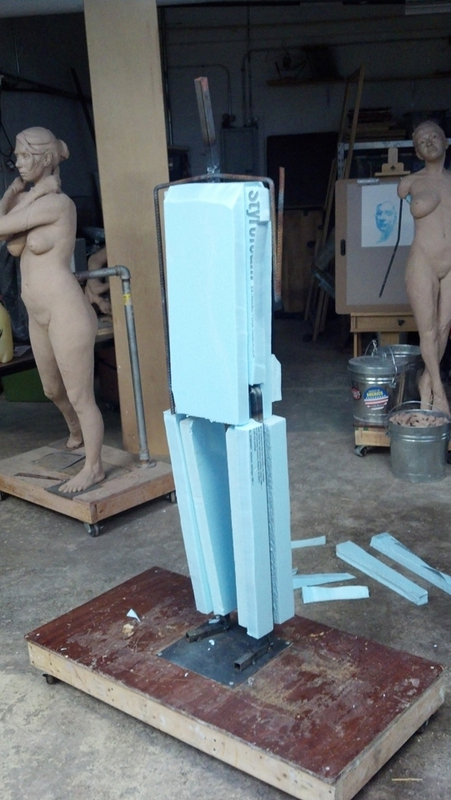 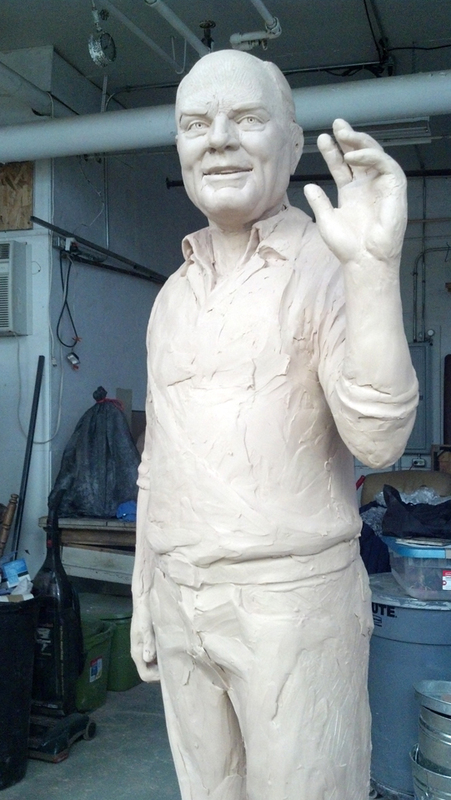 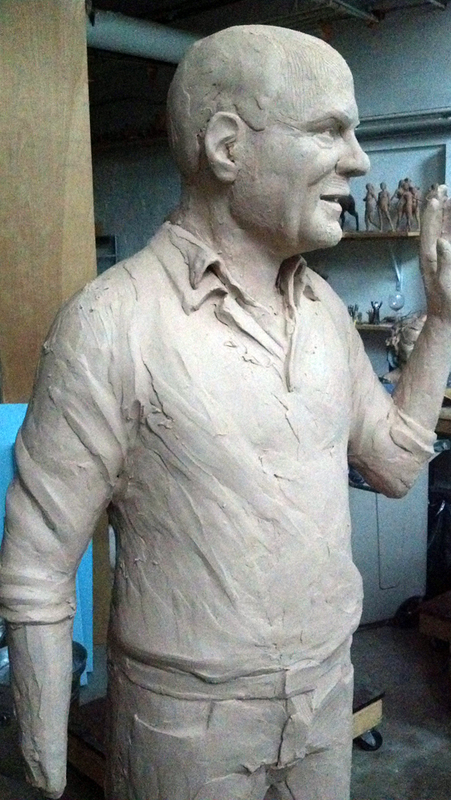 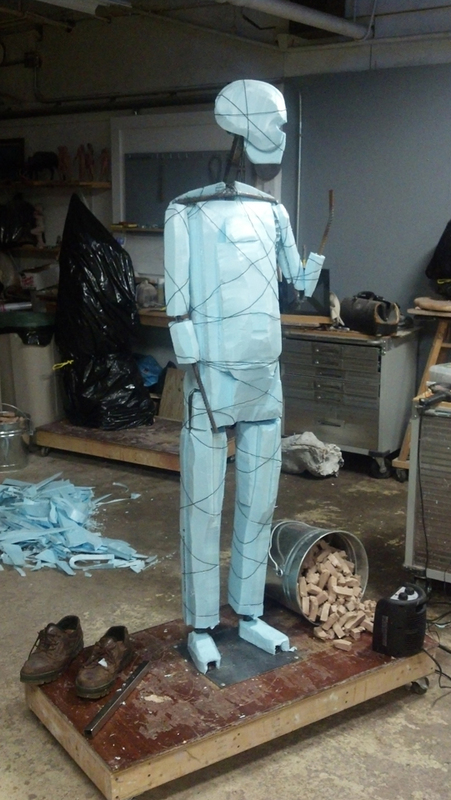 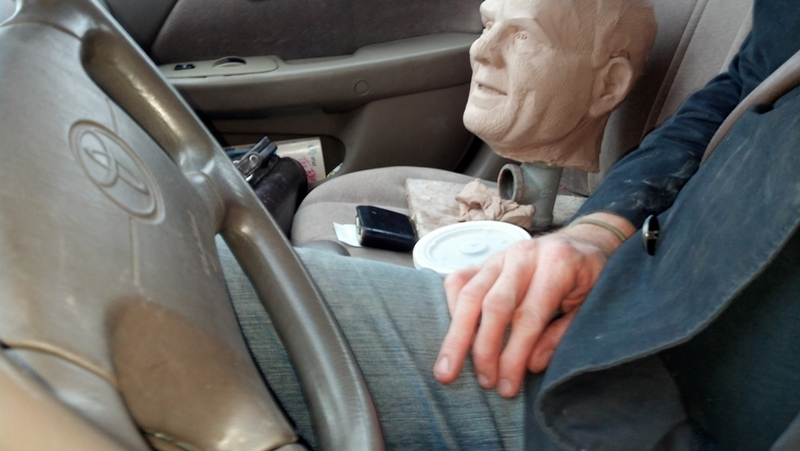 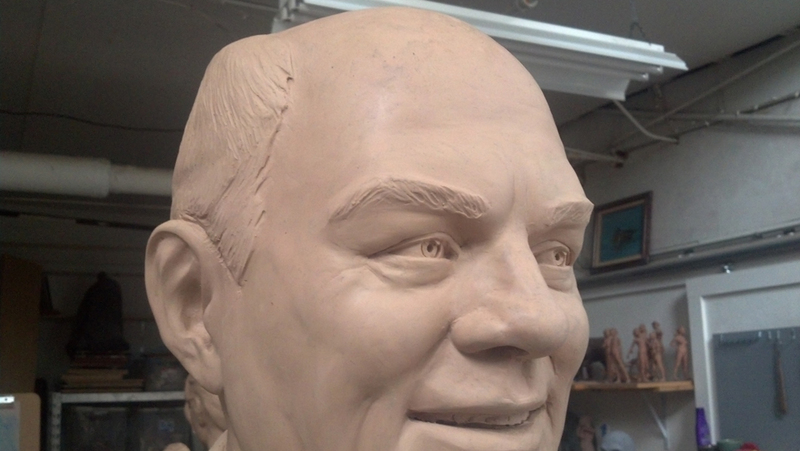 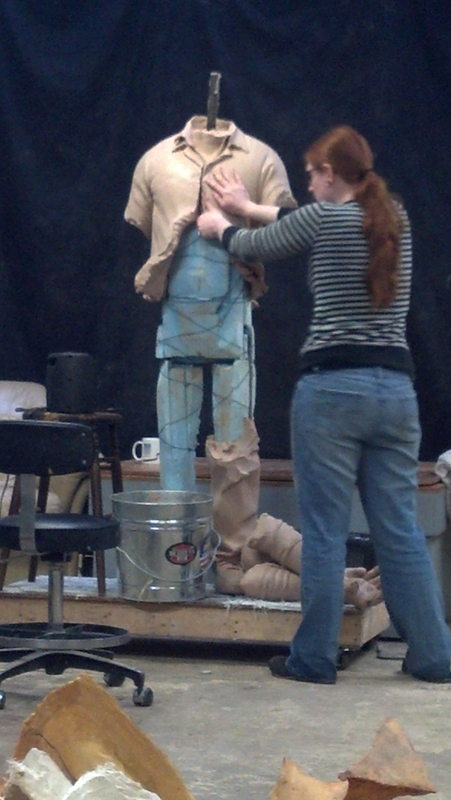 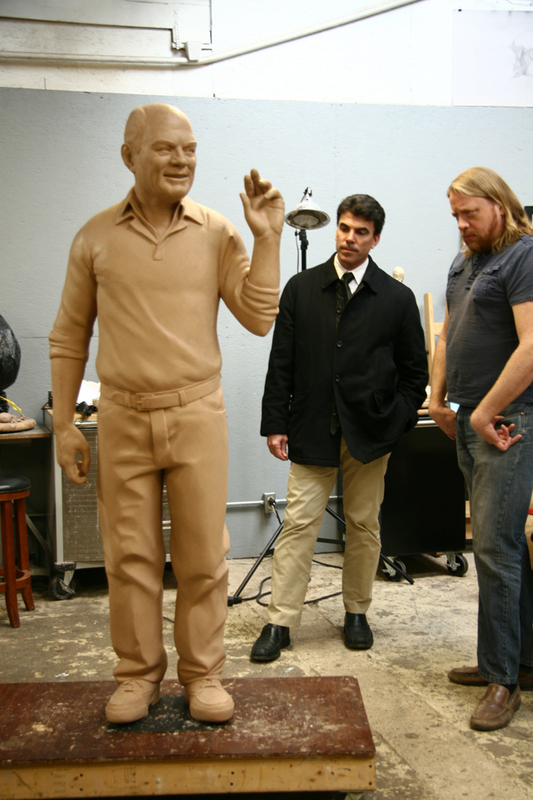 A variety of photos and models were used to model the figure in oil-based clay over a steel and foam armature. 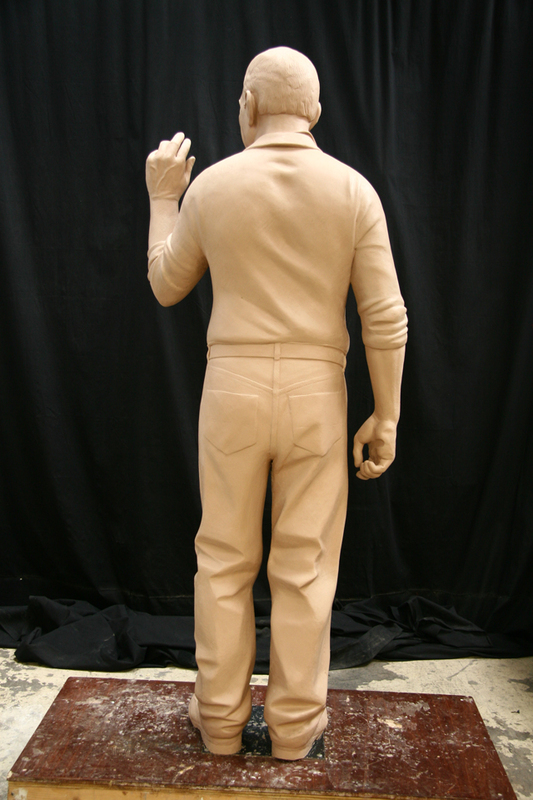 Tom was obviously not available to pose, but we did have some of his work clothes, and by finding models who fit them and the wear pattern in them closely, we could get a decent approximation of how he might have stood. 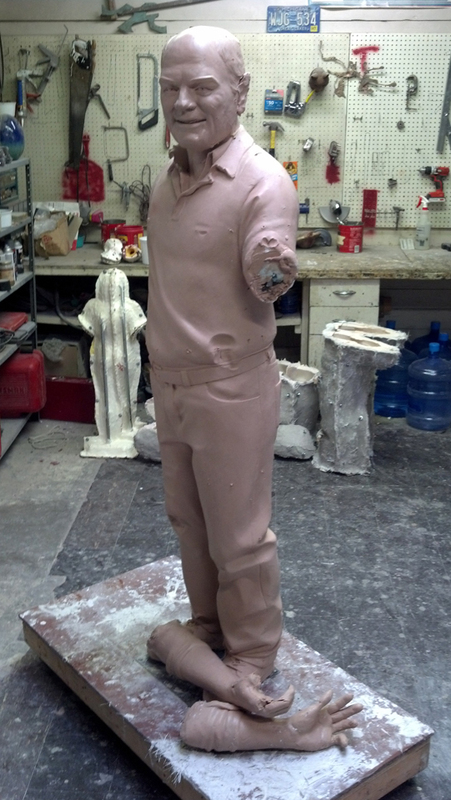 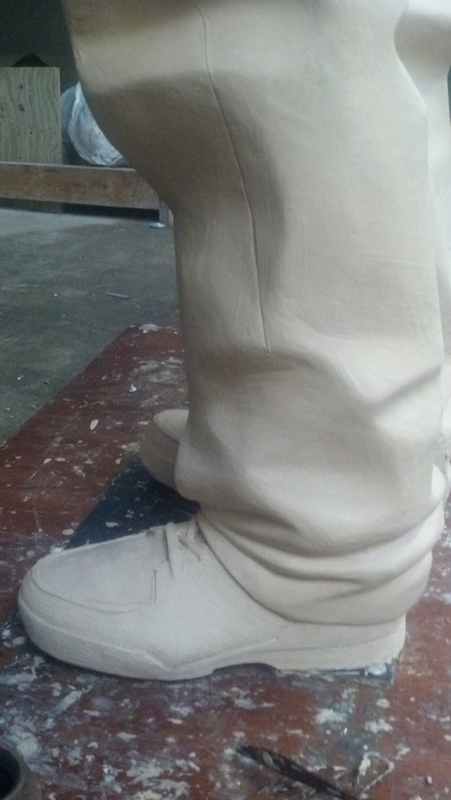 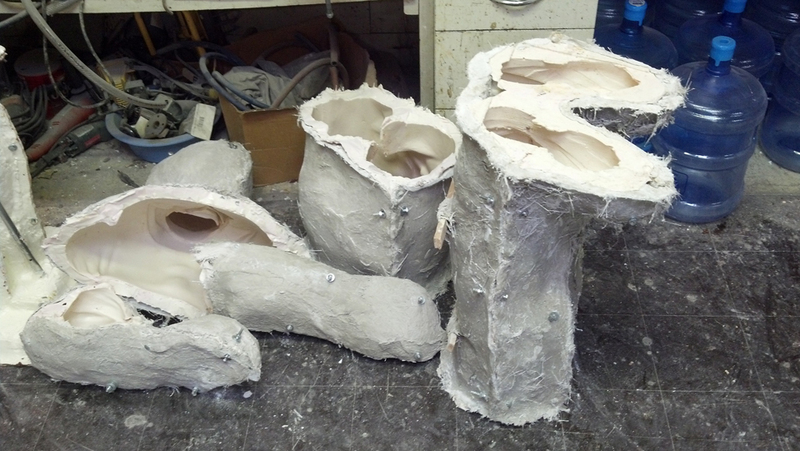 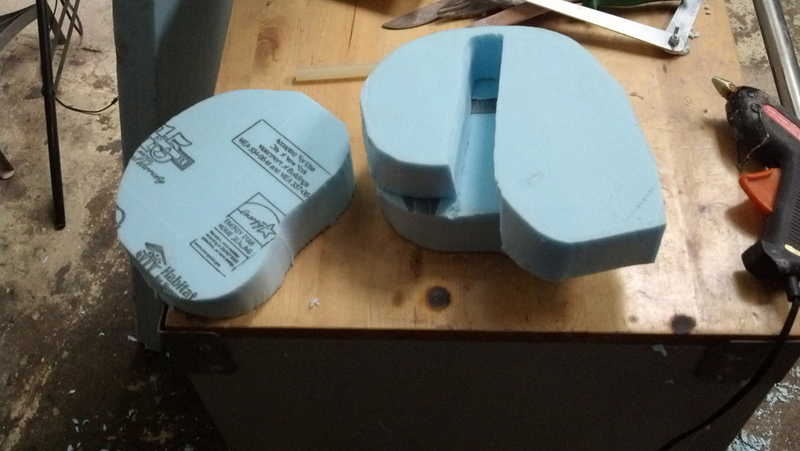 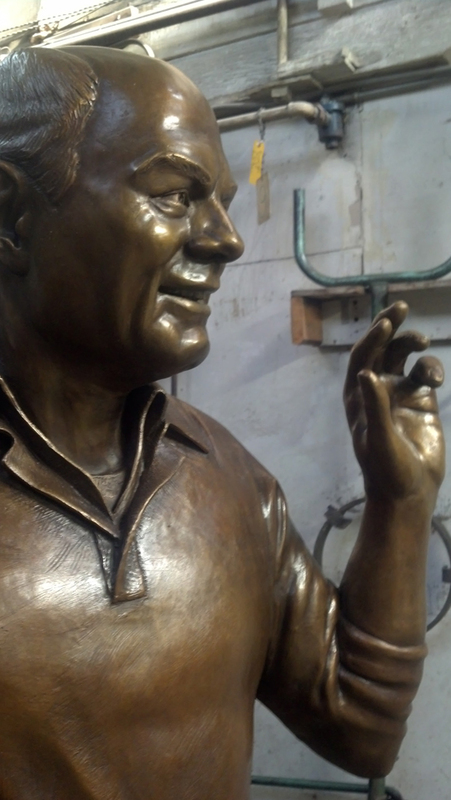 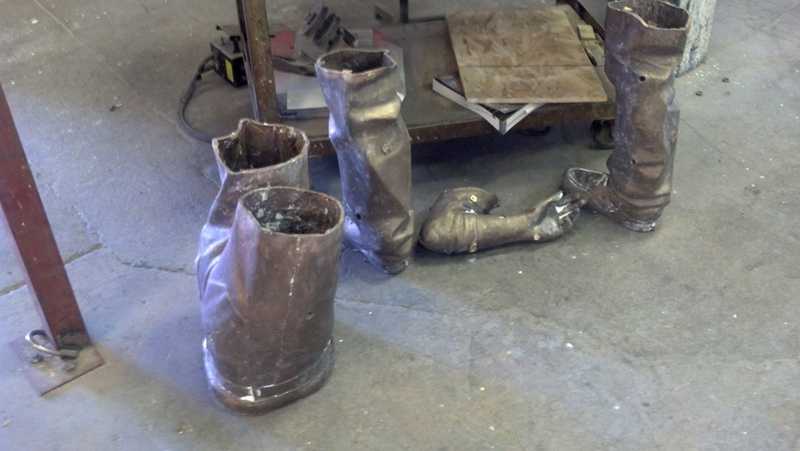 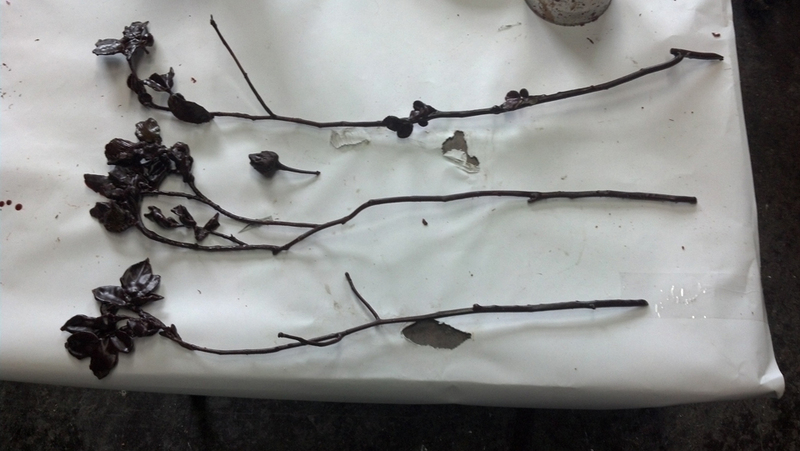 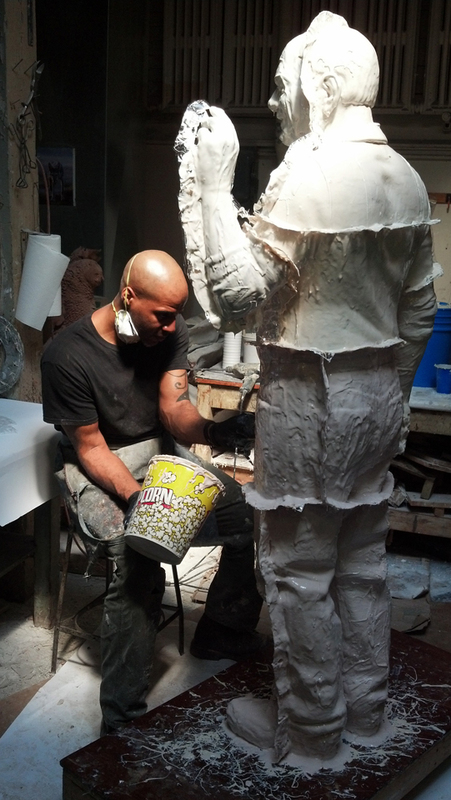 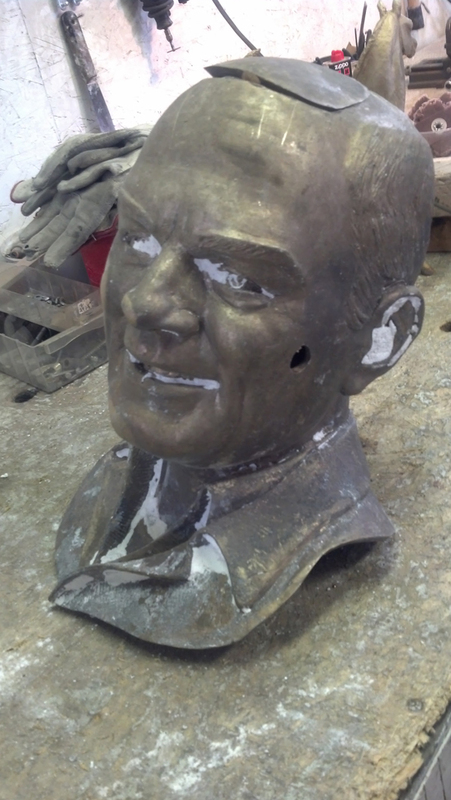 The clay piece was molded in rubber then cast in bronze before installation.